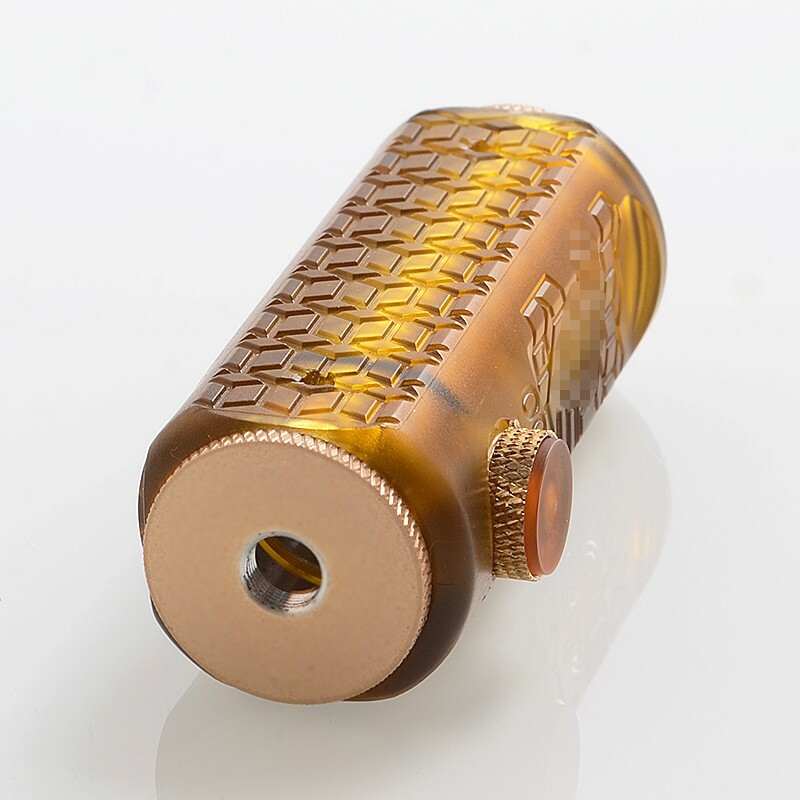 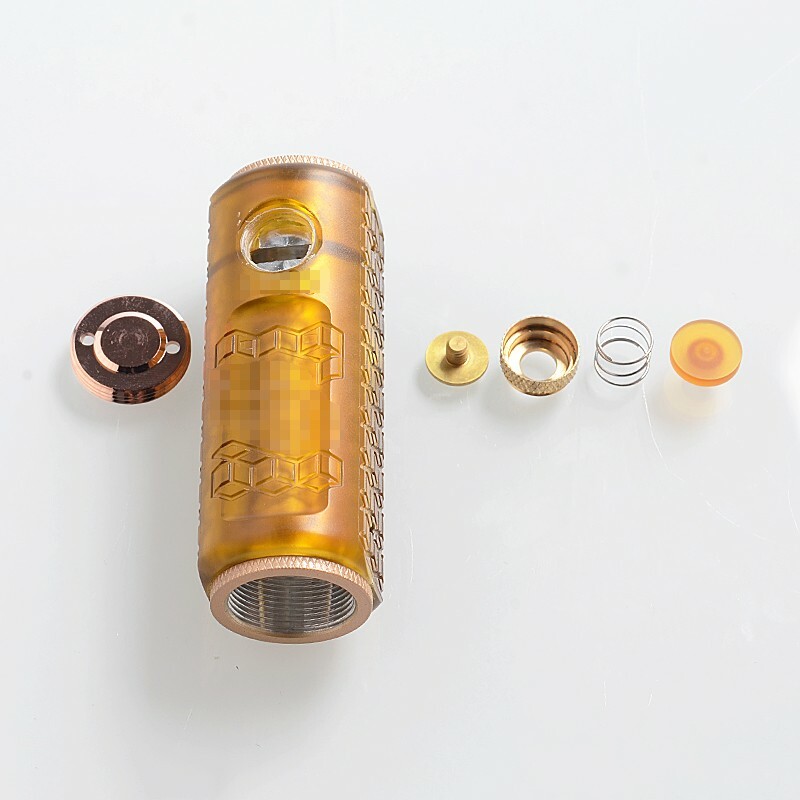 The SOB Uno Bersikulo Style Mechanical Mod features yellow PEI chassis, aluminum hybrid top cap and tube, Ultem fire button on the side and copper battery door. 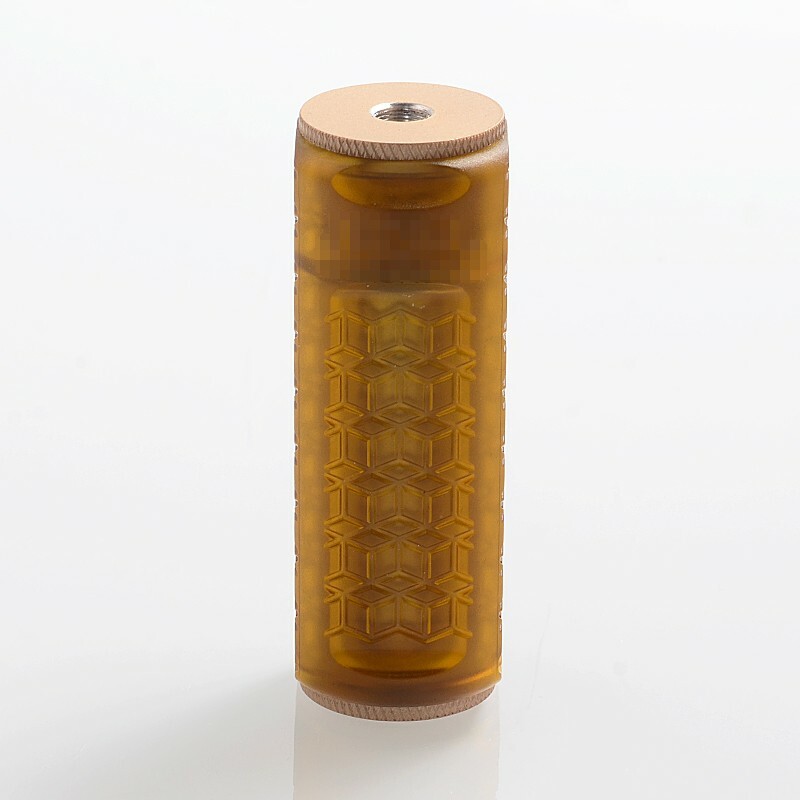 It is powered by single 18650 battery (NOT INCLUDED). 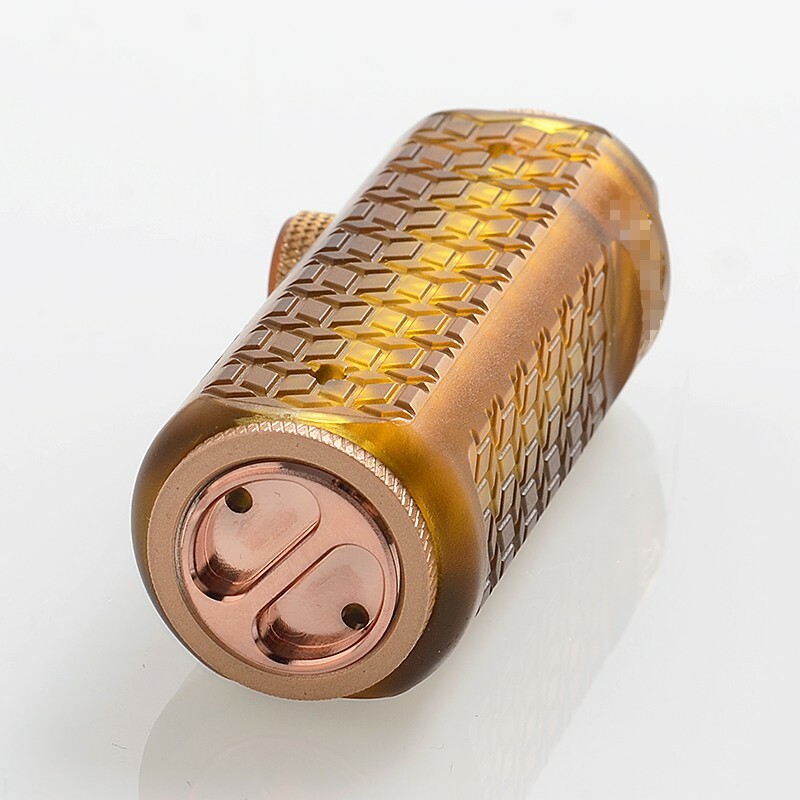 Please note: the manufacturer changed the brass material to aluminum.